Lahore Fort which is also known as the Shahi Qila in local language is one of the most popular historical landmarks of Pakistan and is the biggest memory of the Mughal emperors covering an area of twenty hectares. Being a masterpiece of Mughal grandeur and architecture, the Lahore Fort has two divisions, one of which is the private division whereas the other one is administrative division. The latter is linked with the main entrance and is wreathed with splendid gardens. 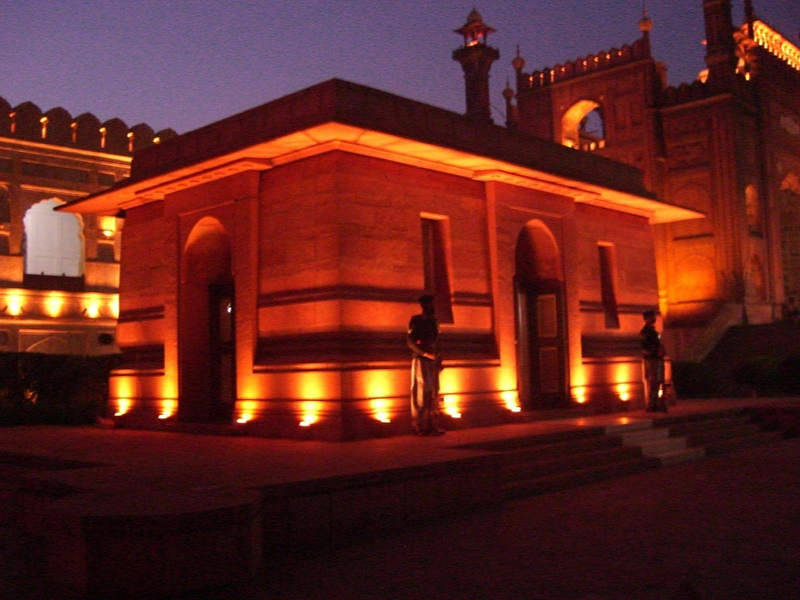 The other prominent place to see in this part of Lahore fort is Diwan-e-Aam. The former i.e. the private section of fort is further divided into courts. The attractions in this part of fort include Shish Mahal, huge rooms and amazing gardens. 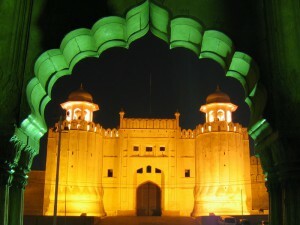 The Alamgiri gate and Moti Masjid are other attractions within Lahore Fort. 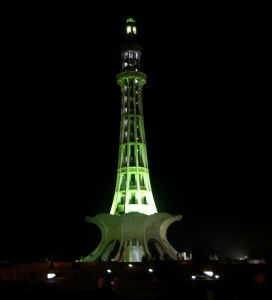 Minar-e-Pakistan is the most popular monumental landmark of Lahore city. It is one of the must-see places for those who visit Lahore. This sixty meters high minaret is made out of solid concrete and is located nearby Lahore fort in the Iqbal Garden. The reason behind construction of this minaret was the commemoration of Pakistan Resolution that was passed at the same place in 1940 following which, this independent Islamic state came into being. Minar-e-Pakistan reflects a unique combination of modern as well as Mughal architecture. The large ground surrounding the minaret is used for public as well as political meetings. The kite flyers also love visiting this ground to satisfy their kite-flying craze. 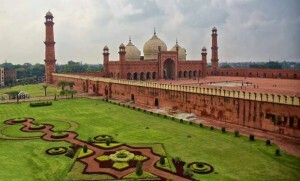 Badshahi Masjid was built by the Mughal emperor Aurangzeb. It is the third largest mosque in the country and is one of the most popular and highly appreciated tourist destinations. The Badshahi mosque is a wonderful display of Mughal architecture and grandeur. The mosque’s interior is adorned with white marble whereas the exterior is finished with stove carvings. In short, Badshahi mosque is one of the greatest historical landmarks of the city and is visited by countless tourists and visitors throughout the year. AmerAdnanAssociates® being an award winning architecture and interior design firm offers modern house designs in Lahore with inspiration from the local historical landmarks such as Lahore fort, Minar-e-Pakistan, Badshahi Mosque and many more.